Honda Cars India Ltd has announced that it has reached the milestone of achieving 1.5 million customers in the country. The Japanese carmaker had made its entry in India two decades ago, when it sold the first generation Honda City in January 1998. Honda Cars had since reached five lakh sales in 2012, 10 lakh in 2015, and has now made it to the 15-lakh mark. It currently sells eight models in the country including the Honda City, Amaze compact sedan, and the Jazz premium hatchback. It will soon be launching the 2018 Honda CR-V with a diesel heart in India. Honda Cars India Ltd, leading manufacturer of passenger cars in India, today, announced reaching a significant milestone of achieving 1.5 million satisfied customers in India. 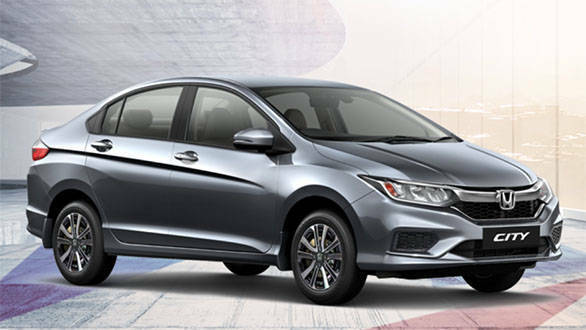 Honda entered the Indian car market with its premium sedan Honda City in the year 1998 and the model has been the largest contributor to the company's cumulative sales followed by the compact family sedan Amaze and premium hatchback Honda Jazz as the next two contributing models. With a rich product portfolio of eight models in various segments, Honda's models are strongly associated with an advanced design and technology, apart from its established qualities of durability, reliability and fuel-efficiency. The company has a strong sales and distribution network of 341 facilities in 231 cities across the country. With its first car sold in January 1998, HCIL reached the first five lakh sales milestone in March 2012 (14 years 3 months). The journey to the next five lakh sales (cumulative 10 lakh) was much quicker in October 2015 (3 years 7 months) and the latest five lakh (cumulative 15 lakh) have been the fastest in just 34 months. Speaking about this achievement of HCIL in India, Rajesh Goel, Sr Vice President & Director, Honda Cars India Ltd said, "Reaching the 1.5 million milestone is a proud moment for all of us at Honda Cars India Limited. This has been a phenomenal journey and at this juncture, I would like to thank all our customers, dealer partners and our supplier chain for their immense support and belief in the Honda brand. The success in the Indian market is strongly associated with Honda's advanced design and technology, reliability, durability and fuel-efficiency that characterises our DNA. I would like to reiterate our commitment to all our customers in India offering them the best of technology, products and services." HCIL has been maintaining strong sales momentum in the current fiscal year and has sold 79,599 units between April and August 2018 with a cumulative growth of over nine per cent as against 73,012 units in the corresponding period from April to August 2017.